Pondering anger, its origin, its purpose, and its power. When anger comes up, I am learning to take time and try and identify it, and I am noticing some not-so-subtle differences between types of anger. We have the daily anger about small things. They are little bursts, spurred by something that was “the final straw.” Someone cuts you off in traffic, and you lash out, or honk unnecessarily, for example. I feel that these aren’t so much anger at that actual person, whom you most likely don’t even know. It’s overload. When our stress levels remain high, we are easily triggered. It’s kind of like a hot tub that’s too full. Drop something in, and you will get a small immediate overflow, but that is all. Then, we have seething anger, which is an acid to the soul. It is hurt unrequieted. Its roots lie in inflicted emotional pain with no closure. What happens with this one, is that it starts out an emotional wound, and when there is no resolution with the perpetrator, the pain grows and is internalized, where it gives birth to anger. Because the original wound may be deeply buried, a person can become extremely bitter and angry. As one experiences re-traumatizing events, he is brought back into the pain, not understanding necessarily why he hurts so bad, and so the cycle continues. Then there is the hot, burning rage that literally comes up from below the belly, right from your root. The heat comes on suddenly, like a gas burner just ignited, and it rises, but how it comes out makes all the difference in the world. Tonight, I felt a deep disappointment and sense of hopelessness in response to something my daughter said, and I could feel at first this sinking in my gut, like someone dropped a lead ball in there. From there, anger rose in me, and I was able to stop it before it reached my throat, where I know it would have come out in unhealthy words. I tried to stop it at my heart and have compassion for both myself and my daughter. Perhaps the anger was triggered by that sinking disappointment, the sense that nothing I do will make a difference. I know I have felt that wound over and over again in some relationships I have had, so I have no doubt those unsettled feelings were triggered. Also, I feel that we often instantly turn these feelings around and direct them at ourselves. Suddenly, self-doubt and shame come into the picture. That sense of powerlessness, hopelessness, is really stemming from a lack of self-efficacy. And we all feel it! When we feel powerless, we feel vulnerable and threatened, and we are more prone to lash out. Anger can hurt yourself and others. In an instant, you can verbally or physically crush another human. But does that mean anger is a bad thing? I don’t think so. When I was looking for quotes, most talked about anger as bad, as if to even feel it contaminates the soul. I see anger as a tool. You can learn to use anger as your guide to issues unresolved, or stress run rampant in your life, or to your inability to take care of yourself and to set safe boundaries. Earlier today, I let that rage come out, briefly and when no one else was around. 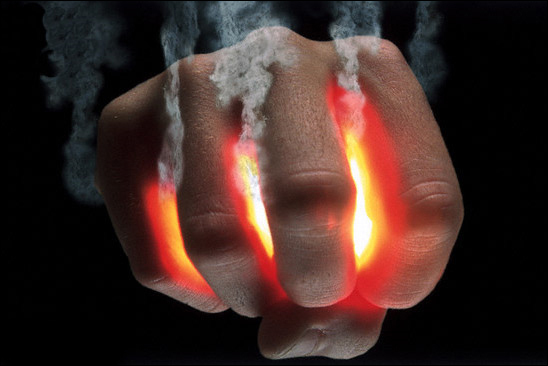 I have found that when I discharge that anger, I am able to see more clearly what really triggered the outburst. I can often then feel the emotions that have been stuffed down by the anger, if I can just let the anger go…..like paper to the wind. Set it free! Let out that guttural scream if you dare. You won’t regret it. Recognize it for what it is, express it constructively, and use the wisdom of your anger to guide you to places in you that need nurturing and healing. Usually when people are sad, they don’t do anything. They just cry over their condition. This entry was posted in Emotions, Health, Mind-Body Awareness, Parenting, Relationships, Spirituality and tagged anger management, buddha, depression, emotions, mind-body awareness, parenting, psychology, quotes, somatic psychology by AmyRxBaker. Bookmark the permalink.